Emberli Park Bar & Diner is the main and only restaurant and bar at the elite holiday development of Emberli, located in the seaside resort of Lozenets. The development is one of the best in the whore resort and is very popular among well-off holidaymakers from Sofia and the big cities around Bulgaria and there are many apartment owners in Emberli from Russia and Poland who come to their holiday homes to spend the summer. Modern, functional and with attention paid to every detail the complex has a total of 116 apartments which can accommodate up to 400 people. All extras typical for a 4-star hotel are at the disposal of all holidaymakers and apartment owners. 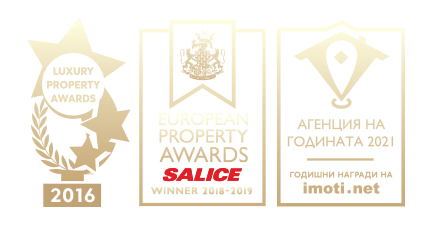 There is an excellent system for maintenance and management of the complex in place, as well as comprehensive marketing campaigns among well-off clients from Bulgaria and abroad, as Emberli is part of the franchise network of Property Management BG and a member of the chain of apartment hotels of ApartmentsBulgaria.com. As a result of the good optimization, the advertising and the wonderful staff in Emberli combined with Emberli’s belonging to one of the most successful Bulgarian chain of hotels, the development had a high level of occupancy even during its first season and a good return rate for the owners of the business, even at a time of a global credit crunch. • Read more about Emberli holiday development. • The elegant restaurant Emberli Park Bar & Diner with an internal (covered) area and open-air terraces offering an elegant selection of specialties, wines, snacks for the hot summer days and nights and a wide choice of exotic cocktails. The menu has been specially selected by the restaurant’s experienced manager (a true professional with long experience in the restaurant business), his aim being to provide a feeling of elegance combined with delicious dishes selected in accordance with the different nationalities of the restaurant’s clients. The restaurant welcomes clients for breakfast, lunch and especially for diner as it is also visited by clients of the nearby hotels. • The pool bar is designed in such a way as to simultaneously service those clients sitting on the bar stools and those clients sitting on the stools in the big pool. • The canopy-covered Lounge Zone in the complex’s garden is just next to the pool and the lounge-chairs and there clients can eat and drink on the soft comfortable lounges and cozy sofas. This is the favorite zone of those who like to relax around the pool in the afternoon, when the scorching summer sun predisposes one to having a cooling cocktail under the shade of the canopies. • The lounge-chairs around the swimming pool. Our waiters also service the clients sunbathing on the lounge-chairs around the pool serving them food and drinks on the small tables placed next to each lounge-chair. • The Relax Zone in the beautifully landscaped garden behind the hotel is equipped with hammocks and low garden furniture and is set just next to small brook and a wood of century-old trees covered in lianas and ivy. This is the perfect place for reading a book in a cooler spot. • The Lobby Zone with low furniture just next to the reception area. Clients like to use our nice lobby to have their morning coffee, to browse the internet or to read the newspapers. It is one of the most liked places in the hotel where clients have drinks and snacks. • Room service. Every tourist or apartment owner staying at their apartment can order drinks and food from a special menu. Each of the zones has facilities and amenities so that clients can eat and drink in pleasant and relaxing surroundings, which guarantees maximum satisfaction only a good bar and restaurant can offer. The prices in the menu are well balanced and reflect the quality of the drinks and food offered, as well as the high standard of the restaurant and the complex. The kitchen of the restaurant is equipped with high-quality new equipment by a leading Bulgarian company offering professional restaurant equipment. Most of the furniture is custom made. The business is well-developed and is managed by a professional restaurant manager with a long experience in the restaurant business, as he personally controls the whole work process and all units of the business. No compromise is made with the quality of the drinks and food offered. Each delivery of products is done personally by our managers and only products of highest quality are selected. The design of the restaurant is the work of the top interior designer Nikki Candelero. • Option for rent-back by the managing company, for a period of 5 years and a guaranteed income of 6% per year. An additional incentive - the rent for all 5 years will be paid in advance! • An exclusive agreement for placing the serviced zones on the grounds of the complex, which is owned by the developer. The agreement will be termless. • The buyer must guarantee competitive catering prices for tourists who have prepaid their breakfasts and lunches/diner with their holiday packages. Some of our tour operators offer holiday packages in Emberli in which apart from the accommodation the clients also pay for their food. • Serious buyers will be invited for an interview and will be asked to provide information about themselves, about their business and experience so that the company managing the complex can be sure of their willingness and skills to manage this business. An exception will be made only for investors wishing to acquire the business with the option of giving it back to be managed by its present team against an annual rent (see the conditions for back-renting below). • Sale of the restaurant and the right to termless use of the area serviced by it at a price of 210,000 Euro, VAT excluded. The price is not subject to negotiations. The buyer will organize the management and the business themselves taking into consideration the abovementioned conditions of the managing company. • Sale of the restaurant and the whole business, with back-rent by the managing company for a period of 5 years at a rent ensuring to the new owner a guaranteed annual return of 8% . The annual net rental income for the owner is set to 16,800 EUR. All local taxes, expenses, management fees, etc. are paid by the management company. We can also offer you for sale at a price of 50,000 Euro the food and convenience store located in the hotel’s lobby. This way the owner of the restaurant will have more business for the restaurant eliminating the competition of the store. There is a possibility for changes to the initial concept of the restaurant, its trend and menu if the buyer points out and supports serious arguments for that. The restaurant and bar can rely on guaranteed clientele among the tourists and the apartment owners staying in the development during the whole season. The resort of Lozenets is known for being one of the best holiday spots along the Bulgarian Southern Black Sea coast and is a favorite getaway for well-off tourists from Sofia and from the big cities around Bulgaria. It is famous for its emblematic bars and restaurants and lively nightlife due to which there is great potential for developing successful bars and restaurants, especially ones with the Bar & Diner concept. The investor is a professional developer and manager of holiday developments and wants to give the opportunity to the right person or company to make the most of their restaurant business in the long run. The managing company and the developer of the complex will provide full support to the buyer.